The Dead Horse Gap Walk is known for its spectacular views and unique alpine landscape. With a local expert guide you’ll learn about the flora and fauna of this high-altitude region and maybe even spot a wild brumby if you’re lucky. 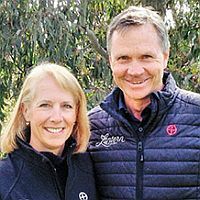 The walk starts with a thrilling ride on the Kosciuszko Express chairlift up Australia’s highest peak, descends 300 metres to Dead Horse Gap, then meanders back along the picturesque Thredbo River. 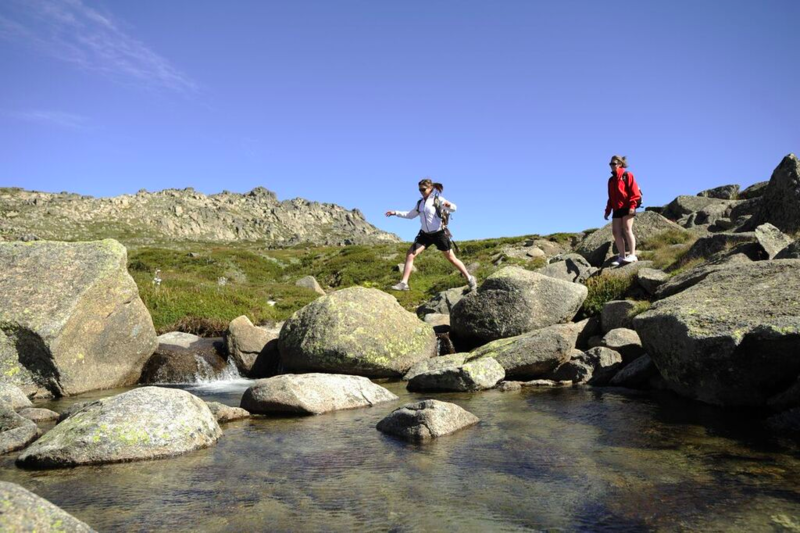 This is one of the best walks in the Thredbo area and suitable for those with a reasonable fitness level. 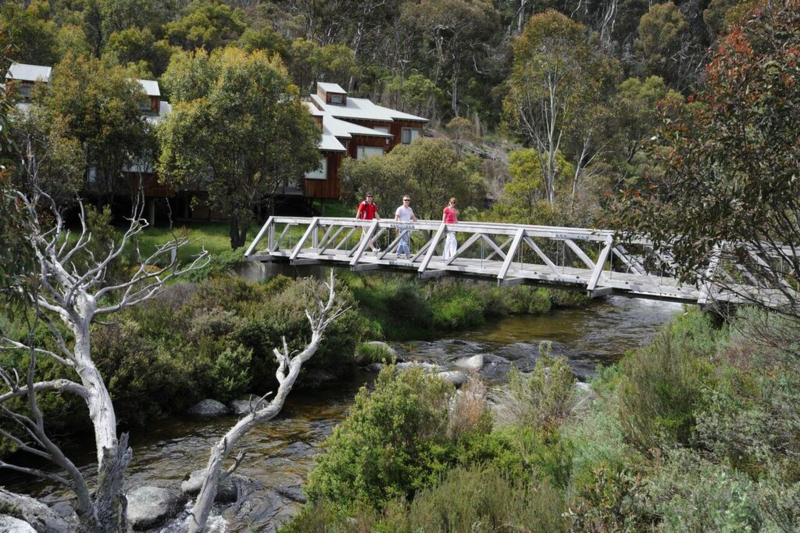 Days Check Thredbo Guided Walks for dates. Time 10am – 3.30pm. Meet at 9.50am. *Two guests must be booked in for walk to proceed. 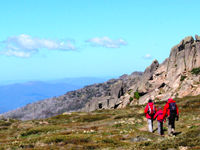 Where to purchase You can book the walk with Thredbo Guided Walks. Book early to avoid disappointment. Must be a minimum of 2 walkers for walk to proceed, book early to avoid disappointment. 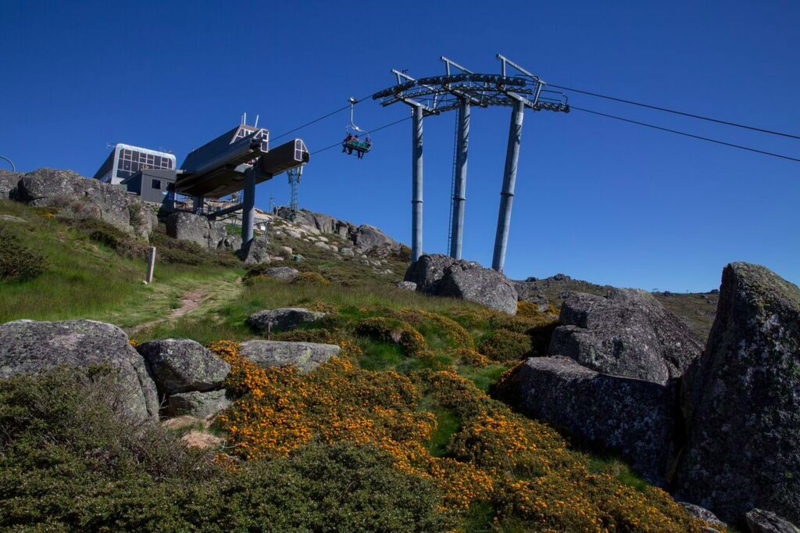 Included in this walk is a one-way Kosciuszko Express Chairlift Pass to take you 560 vertical metres up to the Eagles Nest Mountain Hut where the walk begins. From here you’ll enjoy panoramic views of Crackenback Mountain, Ramshead Range and the Thredbo Valley. The trail follows along the Ramshead Range then descends 300 vertical metres to Dead Horse Gap. As you descend you’ll get the chance to experience the special alpine environment and rich diversity of wildlife unique to this high-altitude region. Your guide will point out some of the different Australian native plants as the walk progresses including some of over 200 species of wildflowers and ancient snow gums. There are a surprising number of animals at this altitude so keep your eyes peeled for broad-toothed rats, dusky antechinus, Kosciuszko skinks and mountain grasshoppers. Upon reaching Dead Horse Gap you’ll stop for a breather and a photo op, the log marker should make for some interesting ‘Dead Horse’ impersonations. The ‘gap’ is the saddle in the ridge that separates the Thredbo Snowy River System and the Murray River. All the water that falls on the south of Dead horse gap flows toward the Murray River and out west to South Australia. On the northern side water flows back to be captured in Lake Jindabyne. Some water from the lake is released to flow down the Snowy River to the Bass Straight in northern Victoria. Brumbies gather at the Gap to feed on the sub-alpine pasture, so you may get lucky and see them roaming around. The mornings and late afternoons are the best times to spot them. From Dead Horse Gap it’s only a few kilometres back to Thredbo and the trail hugs the scenic Thredbo River affording walkers picturesque views from footbridges. 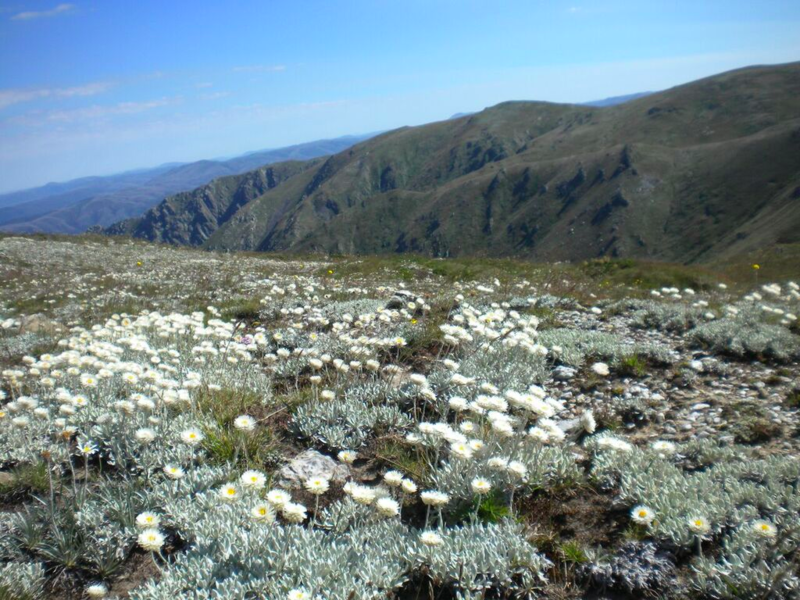 Along the way you’ll encounter Kosciuszko wildflowers and snow gum woodlands. The rushing river is home to trout and platypus so keep an eye out for circular ripple patterns. We recommend taking this walk with a local guide as the weather in this area is quite changeable and the guides ensure your complete safety at all times along the trail. You’ll also receive up to date information on the conditions of the track and how to best to layer your clothing for the weather. This is peace of mind for parents accompanied by children or those unused to hiking in an alpine environment. Guides are also invaluable for their knowledge of the flora and fauna, history of the area and you’ll learn much more than if you did the walk self-guided.